L. Petromyzon marinus, Eng. lamprey. Literally, ‘lic-rock’ for their habit of clinging to rocks with their mouths (L. lambere, to lick and petra, rock). These are eel like parasites that are funnel shaped, jawless and sucking. They live in the Atlantic, the Mediterranean and in fresh water. 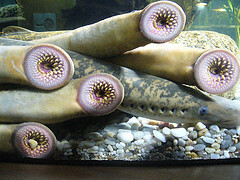 The entire area of what is today Zamora, which formerly belonged to the Dioceses of Astorga, is called “lamprey land” for its enormous pools filled with lampreys. 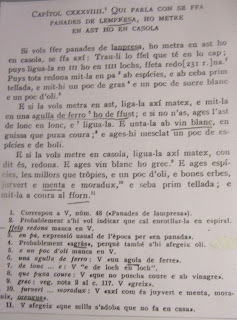 There were so much that the even the monks from of Sahagún (León) frequently ate them as well as nobles. 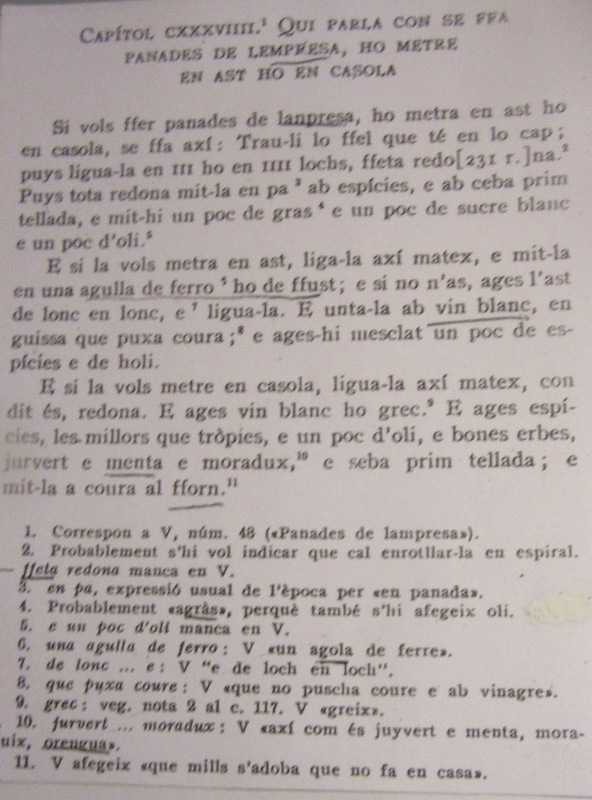 Sent Soví Chapters CLXXX-XII instruct that all big fish skin eels: lamprey and moray eels should be scalded in hot water; lamprey must be singed and scorched. CXXXVIIII indicates that lamprey can be added to pies, turnovers or casseroles or cooked on a spit. Bleed a lamprey by making an incision between the neck and the head. Save the blood. Wash it. Cut off the extremities and scald it for one minute in boiling water. 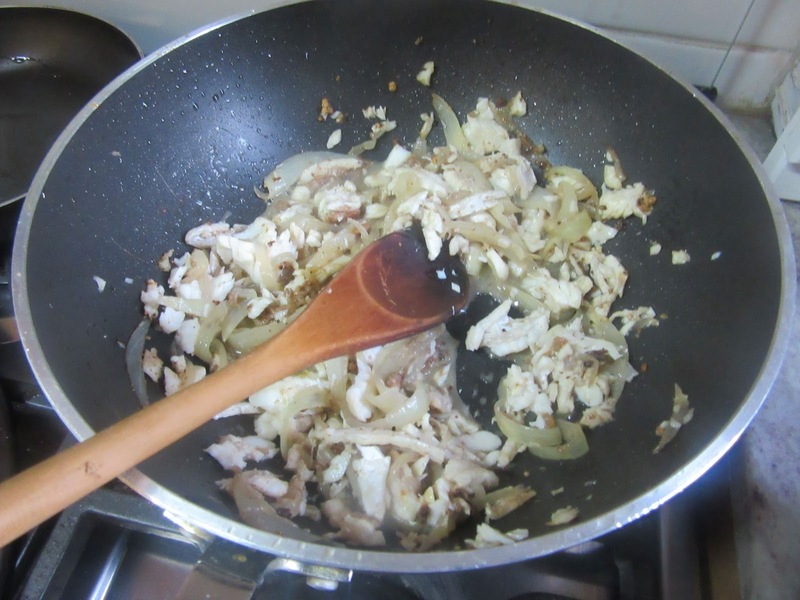 Heat olive oil and gently fry the onion. Add wine and vinegar. Gently oil to reduce the liquid. Add the lamprey, the spices and salt to taste. 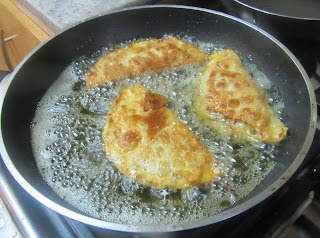 Mash the bread in a mortar with the blood and add that to the frying pan. Add garlic if desired. 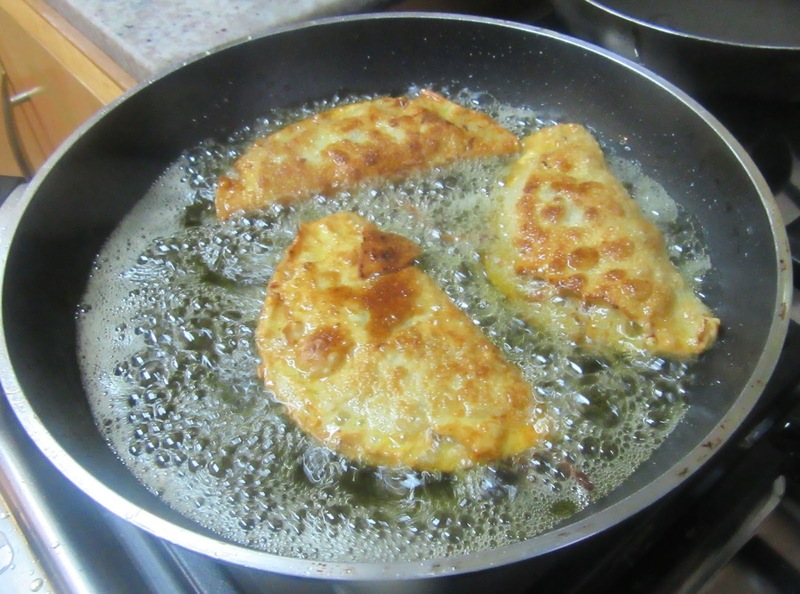 When the mixture is half cooked remove from the frying pan and fill the turnovers. Paint the dough with raw egg and seal the edges closed with the tip of a spoon. Fry the turnovers and serve warm. 1 conger eel was used as lamprey were not available. LARDO WITH A 15TH CENTURY BURGER KING!